Headers and footers appear on every printed page. This is how you add page numbers, date and time, the file name and path and where you can add a logo to every page in the Header. Headers and Footers are added via the Page Layout View and are typed into the Header or Footer Area directly. A Header and Footer Ribbon will pop up when you begin. Click the Page Layout Icon – bottom right of the screen. Once in Page Layout View click into the Header area. The Header (and Footer) areas are divided up into three sections, Left, Center and Right. Click into the area you wish to have the Header (or Footer) appear in. 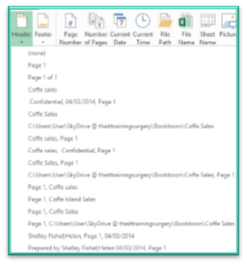 Once there a new Ribbon Tab Appears – Header and Footer Tools. The Ribbon that pops up when you click into the Header area gives you various options to add to the Header or Footer. There are two icons for Page Numbers, Page Number and Number of Pages. If all you need is a simple page number, then select the first one. 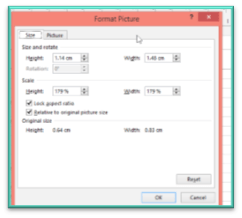 Format Picture – having added a picture you can format it. This icon will only light up if you have a picture in the Header. Scale with Document – this keeps the Header/Footer in proportion if you scale down or up. 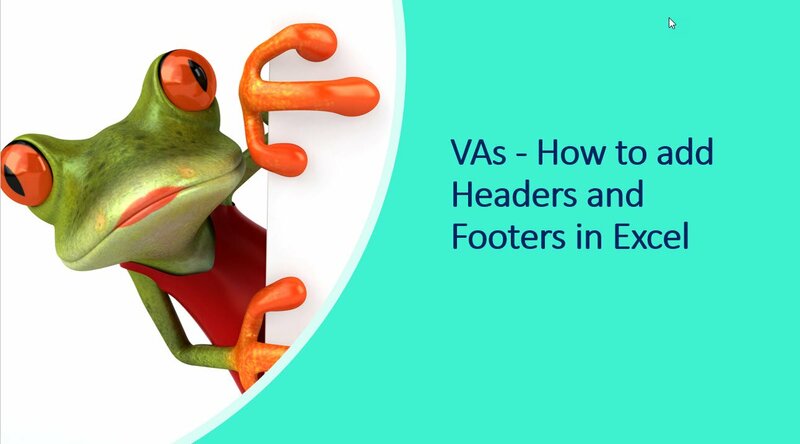 Align with page margins – this makes sure that the Header/Footer lines up with the margin. If you have a narrow margin you will want to tick this box so that the Header/Footer spreads out to meet the margin and is not inset. 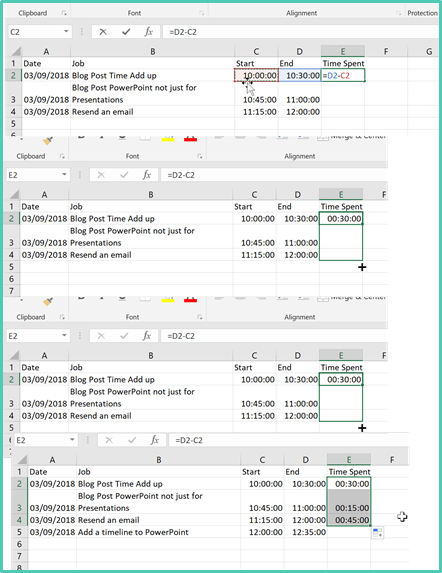 The Current Time icon places the &[Time] field in the Header/Footer and shows the current time as above. Use it to change the size, crop, change brightness etc. 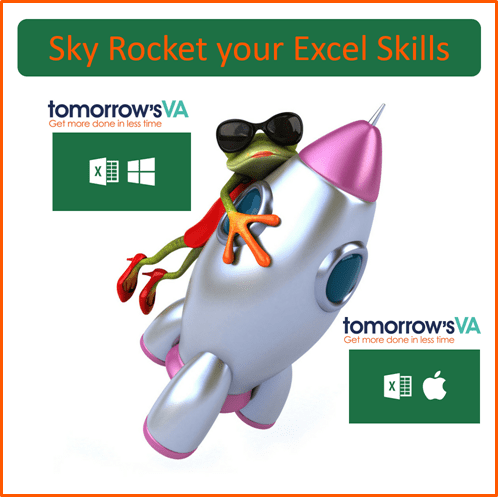 Take our course Essentials Excel Skills for Virtual Assistants to learn how to do this and a lot more besides. You can find the Windows version Here. You can find the Mac version Here. You have just been sent a spreadsheet. It has been set up for you and you are eager to get to work filling in the blanks and completing the calculations. But what’s this? You suddenly notice in some of the formulas there are some Dollar $ signs lurking. What do they mean? Why are they there? What should you do? These dollar signs are a secret code for Excel. 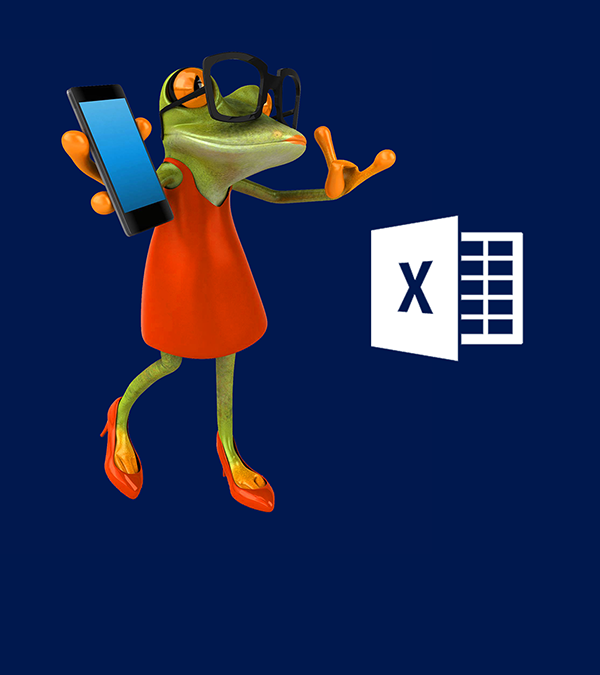 They tell Excel to fix a Cell Reference. Huh? What do you mean? Fix a Cell Reference? What is a Cell Reference and why does it need to be fixed? Is it broken? 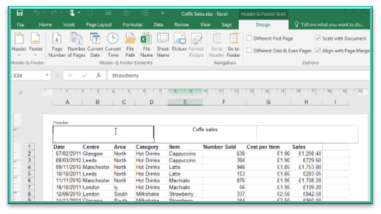 When working in Excel and creating formula in a column you may well be struck by the fact that you need to complete the same formula in every row. So in the image above I need to complete the formula in cell E2 in the other cells E3 E4 E5 E6 and E7. Now that is not so difficult in this example, there are not many in this list. However, if you had a list of even plus that is going to be very time consuming not to mention frustrating. You know I am going to say yes, now don’t you? 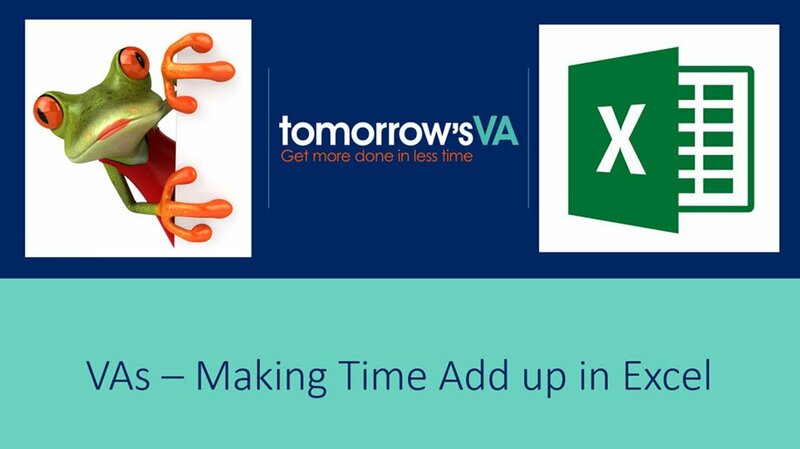 When filling a column (or a row for that matter) you can use a handy feature called Autofill see Virtual Assistants – why Autofill in Excel will save you hours. Autofill is a fabulous tool and it copies exactly the referencing in the cell you start from – in this case it would copy =D2*J1 and in the row below it will be D3*J1 – or rather it should. However, what actually happens is in each case the reference to J1 gets changed as well. So, in the cell below you would see D3*J2. In the cell known as J2 there is actually no value. So, the result in cell E3 will also be 0. 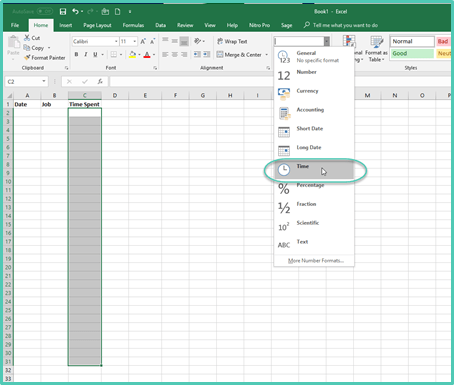 To make the reference to cell J1 copy throughout the column – we need a way of telling Excel to fix the reference. We want every cell in Column D to refer back to cell J1 not to J2 J3 J4 etc. The F4 key – one of the function keys on the top row of your keyboard, adds two dollar signs to the cell reference you are currently adding to the formula. The first time you press it, you get $J$1 this fixes the cell reference absolutely to cell J1 and is known as an Absolute Cell Reference. The second time you press it you get J$1 – this fixes the reference to just the row – so when you drag across several columns the column will change but the row stays fixed. The third time you press is you get $J1 – this fixes the reference to the column – so when you drag down the row will adjust but the column stays the same. The fourth time you press it, the dollar signs are removed completely. Would you like to learn how to put this into practice? 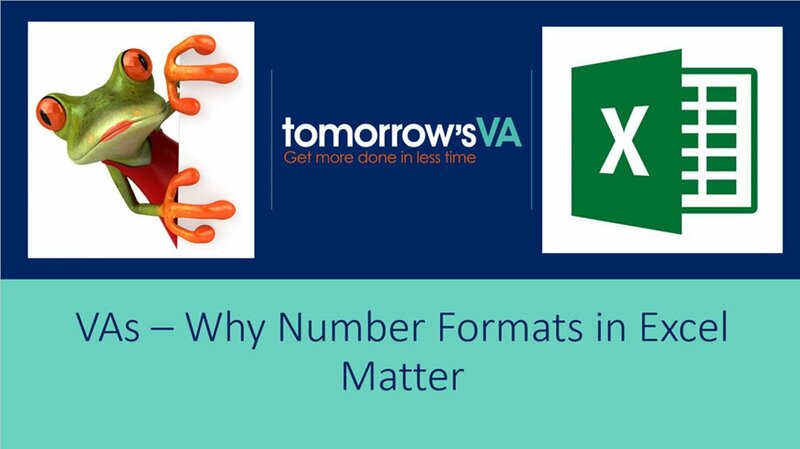 To learn how to build your formula properly and what happens when you need to add subtract divide and multiply, plus what order Excel will perform calculations in, and how to use Absolute Cell references with the F4 key, then you need to take my course – Essential Excel Skills for Virtual Assistants. What are you waiting for? Head over there now. The first 1o to sign up will qualify for a 20% discount — just enter the coupon code 20%F4 at checkout. 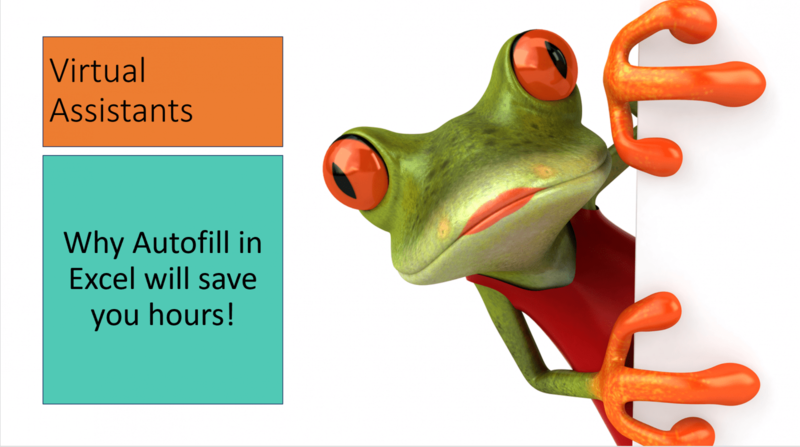 Simply put, Autofill automatically fills a series of data whether that is a range of numbers, days of the week, months of the year or any sequence that you care to set. For example in the image below I created a telephone rota or office staffing rota. 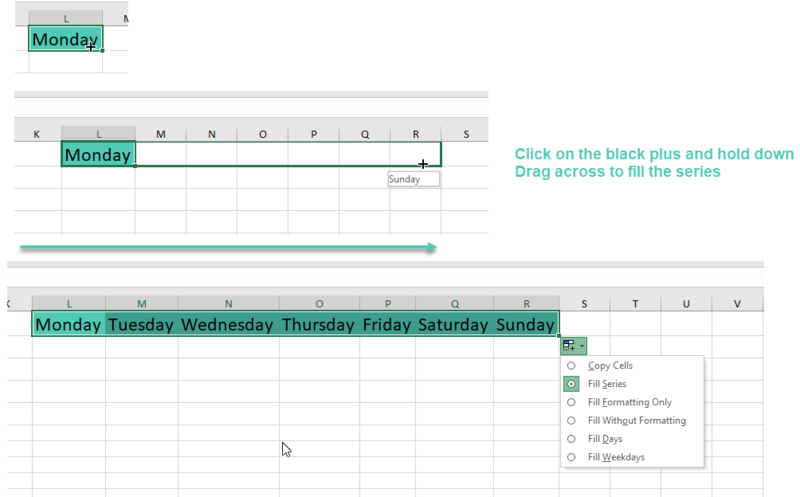 Using Autofill I could set up the days of the week along the top without having to type them all. I started out by typing Monday and formatting the cell. Then using the little fill handle in the bottom right hand corner, I hold it down and click and drag across all the columns. Then as I don't want Saturday and Sunday I can choose Fill Weekdays from the button also known as a Smart Tag that pops up. Well, not only can it create the series of days starting from any day of the week, but it can also fill in a sequence of months or even increment dates. 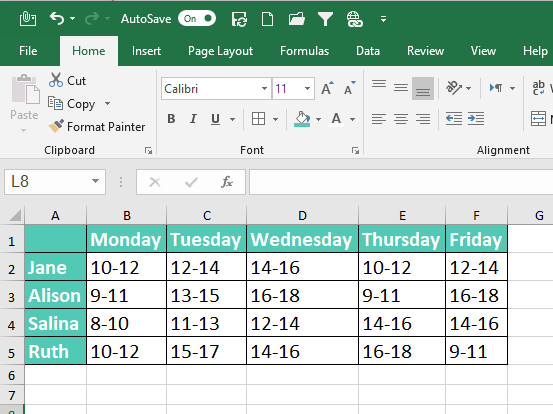 When you type in a date and use the Autofill handle to create the series you get to choose whether to increment by one day at a time, or fill months or years so creating a monthly or annual schedule. If you are in the business of managing an event and have timings - then it will save you time filling in the session times. 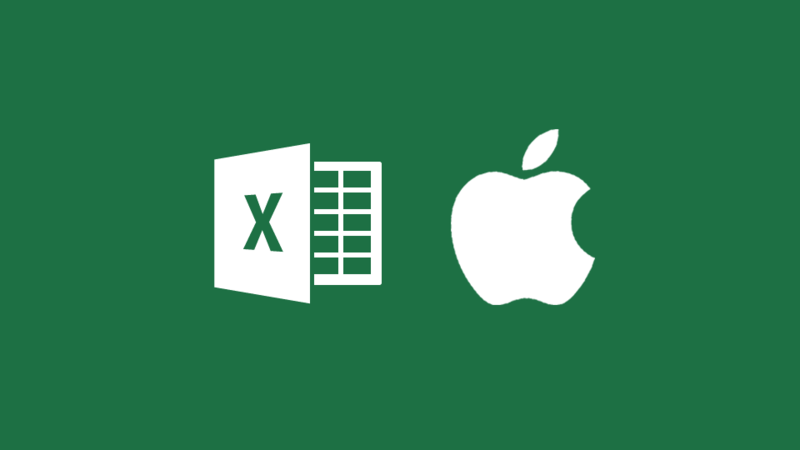 Just set the first two and Excel will do the rest. 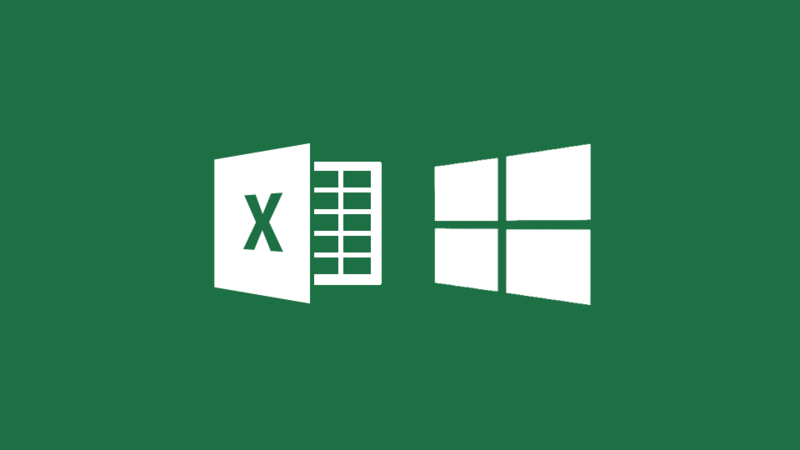 Want to learn about this and many other Excel tools? 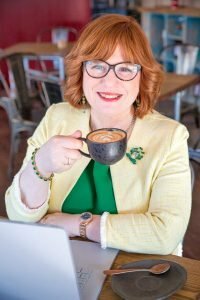 To learn how to use Autofill , build your formula properly and learn what happens when you need to add subtract divide and multiply, plus what order Excel will perform calculations in, then you need to take my course - Essential Excel Skills for Virtual Assistants. The first 10 people who sign up qualify for a 20% discount. Add the coupon code AUTOFILL20% at checkout. Or click the button that already has the discount applied.